The US market is marginally lower over the week, ahead of key quarterly stock and planting data due to be released tomorrow, and official winter wheat crop ratings set to re-commence next week. A general lack of fresh news over the US/China trade talks is seen as negative as market shorts seem totally unfazed about prices rallying on either a trade deal or wet US spring weather delaying fieldwork. They are more focused on the bearish outlook for US supplies, despite the 120,000t sale to Egypt this week. European prices are mixed, lower in the old crop positions, but higher in the new. Weakness in old crop was heightened recently as Egypt shunned French supplies to purchased solely US origin in its recent tender. With a perceived lack of fresh export demand, and domestic usage waning under the sheer volume of more competitive maize imports, the likelihood remains for further increases in old crop inventories. New crop values have held steady, mainly supported by continued concerns over dryness across much of the EU and parts of the FSU. UK prices are virtually unchanged on the week, as Brexit continues to make all the headlines, and currency reacts to the news. Fundamentally, no change with a market stagnated by limited activity in both farmer selling and consumption buying. In summary, another week and still no US/China trade deal to get the market excited. US weather is seen staying wet and cold, with the EU/Black Sea region turning colder, but staying dry. USDA is due to release key planting data tomorrow, although the trade isn’t expecting too much bullish news to come out of the reports. In the long term, it will be final harvested acreage, and yield, and not planted area, that will drive the US markets, but with weather conditions generally favourable around the globe, the outlook still looks like one to favour the bears, rather than the bulls! Another quiet week on malting barley with old crop demand non-existent. The focus now is on new crop, with the barley crop conditions reported as good across Europe. Drilling has started in Scandinavia, which is well ahead of the usual timing. The world malting barley conference is under way in Warsaw. Hopefully we will see some positive buying interest arise from this. CBOT soybean futures closed lower on the week as harvest continues to advance across South America in near-ideal conditions. Reports are generally suggesting better than expected yields and this has been the catalyst for funds to sell over the course of the last week. However, in the US things are a bit more complicated. Excessive soil moisture following some extreme winter weather could result in plantings delays in certain parts of the US. Whilst it is too early to have any meaningful effect, it is worth watching. 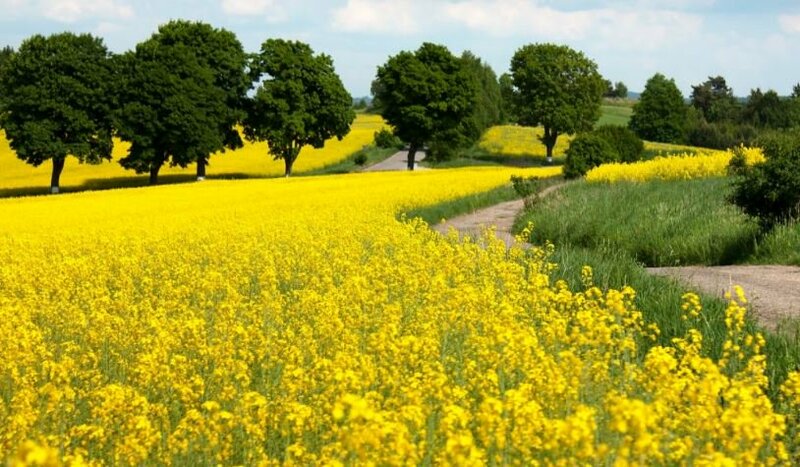 The issues between Canada and China continue to rumble on and further restrictions have been put on exporters of Canadian canola. This will put pressure on the Canadian balance sheet and is likely to significantly bump up their ending stocks. Unless there is a solution found Canada could increasingly put pressure on traditional Black Sea destinations, forcing more seed into the EU at harvest. The old crop market in the EU is pretty quiet. The strike issues in France have been resolved. In the UK currency movement continues to affect farm values but domestic processors now seem to have comfortable coverage. With this in mind we wouldn’t be surprised to see values slip further, unless there is some political/FX led intervention. The old crop bean market is extremely quiet, with very little coming forward from farm and limited trade occurring. There remains demand for feed beans for export but the question remains as to whether there is enough supply left on farm to meet this demand. Spring bean plantings are progressing well, with plantings approaching completion in the south and east of the country. With the bulk of the crop planted significantly earlier and in better conditions than last year and the winter crop looking very well, the outlook for yield potential is looking good. The new crop market is quiet with little trade occurring. At current prices faba beans are an expensive protein source and are unlikely to feature in compound feed rations in large volumes if the price structure doesn’t change. New crop pea buybacks remain available for large blue peas and marrowfat peas. The Gleadell marketing pool for pulses remain open. Do you need a cereal break capable of late drilling and profitable gross margin opportunity? If you do, then spring combining peas offer an excellent cropping option. Supported by our market leading buyback contracts, both marrowfat and large blue varieties are available before we get into the main pea drilling window in early April. Early order exclusive offers are available across our OSR portfolio. Call your farm trader for more info and specific variety advice. Cereal seed stocks across the popular new varieties, including KWS Extase, KWS Firefly and LG Skyscraper, are moving fast. With the grain market well off the season highs, we have opportunity to price fix some cereal seed ahead of the autumn, to start fixing in some variable costs. While Latitude has been in the market for nearly 20 years, very little is applied to winter barley seed, while approximately 15% of the winter wheat area receives Latitude treatment. Arguably winter barley provides the best response to Latitude treatment, as most crops are in the second cereals position, whereas as wheat is predominantly the first. Being the only product with label control of take-all (both seed treatment and foliar), a disease associated with second and successive cereals, Latitude is an essential requirement for any second winter cereal. For the best return on investment, application to hybrid barley is key. Granular Urea has remained relatively stable this week with vessels continuing to be traded around $250/t FOB +/-$2/t. The good weather has seen many farmers applying fertiliser in the past week and many have now returned to the market for the remainder of their requirements. Spot urea prices look likely to remain stable/firm with energy costs at a five-month high. Currency fluctuations continue to be the largest factor in all trading decisions. Immediate delivery is available for Gleadell granular urea. To enquire, call your local Gleadell farm trader or the fertiliser desk on 01427 421237. New CF terms were released on Tuesday with price corrections on their NPK compounds and SingleTop compound (27N 12So3). Price corrections have made CF products highly competitive against imported/blend alternatives once again. With little clarity on the direction of Brexit coming out of Parliament, the imported ammonium nitrate market prepares itself for a potential 6.5% tariff in a no deal scenario. Blue Bag continues to be highly competitive against Imported AN with only a marginal premium per unit of Nitrogen. CF terms are subject to immediate withdrawal due to political volatility.